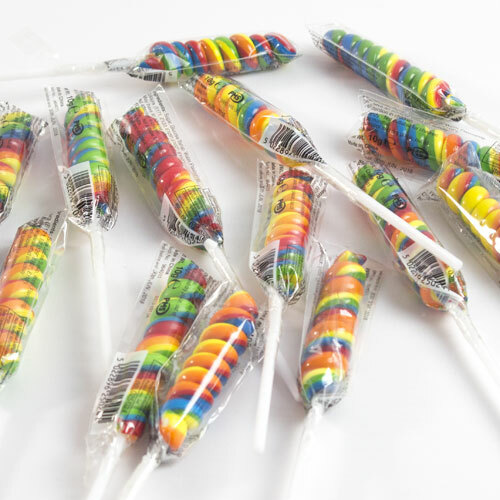 Spiral Rainbow Candy Lolly 10g Sold: Single Size: 14cm / 5.5Inch approx Weight: 10 grams / 0.35 ounce Ingredients: Sugar, Glucose Syrup, Water, Flavouring, Colours (E171, E133, E129*, E102*, E110*). * May have an adverse effect on activity and attention in children. Not suitable for children under 3 years old. Long lasting fruit flavour hard candy.